The National Trails of England and Wales are visited 83 million times each year, with over 80,000 people completing an array of the different paths. A long distance footpath is a primarily off-road trail over 32 kilometres, according to the British Long Distance Walkers Association. If you’re taking a leisurely three-kilometre stroll in your local park, you can get away with your old worn-in trainers. If one of these long-distance walking trails is on your bucket list, however, you’ll need some good quality footwear. 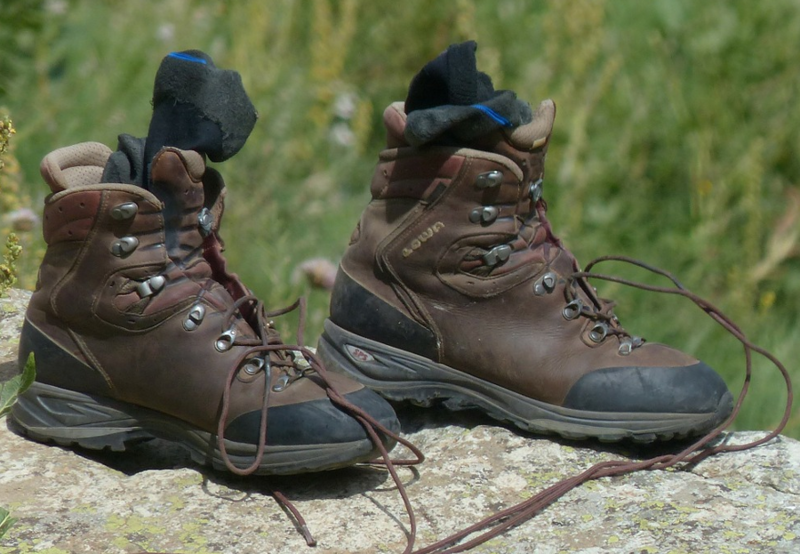 There are many quality brands of hiking footwear but, if you’re looking to go on a long-distance trek, the specific variety of shoe or boot is what you’ll need to consider. Backpacking boots have deeper tread for traction, as they are designed to carry heavier loads for multi-day hiking and camping trips. Backpacking boots also tend to have a higher cut for ankle support, with more durable and stiff insoles. 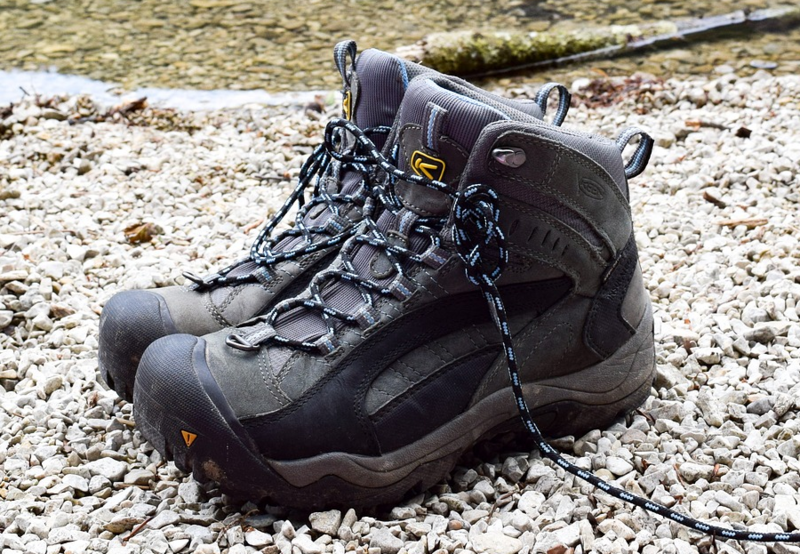 While backpacking boots are useful for camping or backpacking when you’re carrying a heavy pack, they might not be what you need if you’re a light packer. 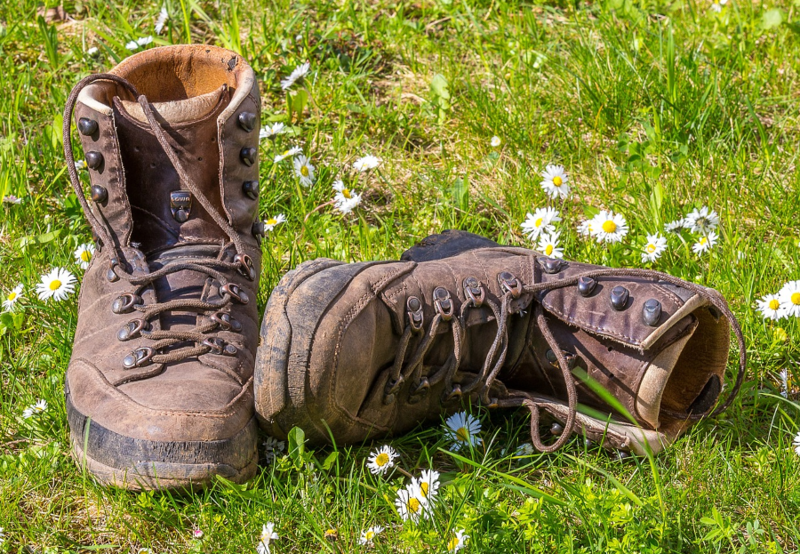 For long distance walking without the weight of a camping gear, hiking shoes are a great alternative. This type of footwear provides more breathability, along with a low-cut and more flexible construction, but are still water resistant with good traction. If you’re a fan of high-cut shoes for ankle support, consider a compromise with a mid-rise, which can also be found in this variety of hiking shoe. 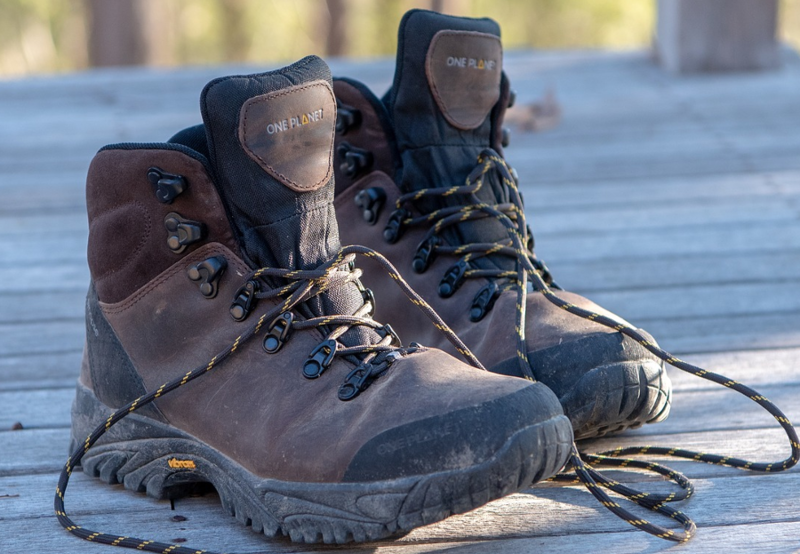 Another compromise when it comes to hiking footwear is a combination of a heavy, solid boot and a lightweight hiking shoe, which is exactly what a “day trip boot” entails. These are shoes with a medium amount of stiffness, a mid-to-high cut ankle, and a moderate amount of breathability mixed with weather-proof or resistant material. A perfect mingling between a shoe and boot, this type of boot offers a bit of both worlds; you’ll be equipped for a weekend camping trip with a normal backpacking weight as well as light-weight longer-distance weekend trips. Hiking is a great way to stay both happy and healthy. Make sure you get a pair of shoes that fits your needs, so you don’t come home with blisters and sore feet, thereby preserving your love of long hikes.